With just over one month remaining to the start of the Toyo Tires F1600 Championship Series, the grid continues to grow. 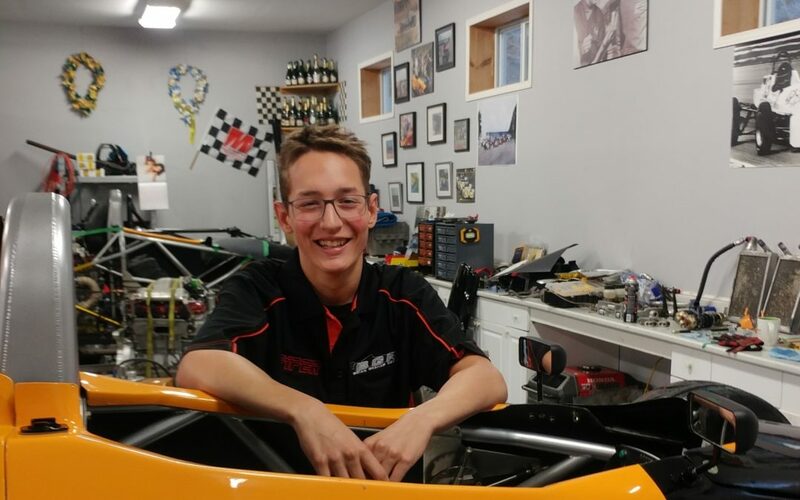 One of the latest to commit to the upcoming campaign is Mackenzie Clark, as the teenager from Campbellville, Ontario, has completed a trio of drivers at Brian Graham Racing that is sure to challenge for Rookie-of-the-Year honours. The rising Canadian karting star recently scored a major international victory in Miami, and as the winter season wraps up he now has his sights set on formula cars. I have been racing karts for five years and have gradually progressed through the levels. I am now competing on an international level with Prime Powerteam, based out of Hamilton. Have you driven an F1600 car yet? If yes, what did you think? Last year I completed a few test days with BGR in an F1600. I really enjoyed getting to experience new tracks such as Mosport and Toronto Motorsports Park. My number for this year in F1600 is #3. I did not choose this number, yet I am excited to race it. This is because one of my idols, Daniel Ricciardo, currently races the number in Formula 1! My favourite track that I have driven would have to be South Garda Karting in Lonato, Italy. It’s the only European track I have raced on and it was hands down the most amazing. This year I am specifically looking forward to competing at Circuit Gilles Villeneuve. It’s a track with a lot of history and I look forward to racing on the same circuit as my idols. My greatest racing memory is probably when my dad and I competed side by side at the 2015 Canadian Karting Championships. It was my first national event and we both raced our own classes and had a great weekend. My favourite professional driver is Daniel Ricciardo. I admire him for his positive outlook and never-quit attitude, and from time to time a wicked overtake. I aspire to become a professional racing driver, similar to him. I have a lot of goals for my future. In 2019 I am aiming to become F1600 Rookie-of-the-Year. Becoming a professional racing driver is definitely a big part of my focus for the future. Also, school is the number one priority and I am focused on becoming a mechanical race engineer.